So many people have sent me the link to the TED talk given by Jill Bolte Taylor (transcript here). I watched it and was a bit curious as to why people are so impressed with this 18 minutes. She is a good performer but not a good scientist. Some thoughts from others are below. What did you think of the video? It is unfortunate that Jill Boltes dragged out the left-brain/right-brain stuff as an explanation for her experiences since the brain does not work that way. In other words, while the sequence of events might have been somewhat different, she would probably have had the same sorts of experiences had the stroke occurred in the right cerebral hemisphere rather than the left. Yates, F. E. (1980). Two minds about brain asymmetries. American Journal of Physiology, 238, R1-R2. Also I’m not sure why she misleads viewers about the interconnections between the cerebral hemispheres, which are multiply connected, most notably through the brain stem and massa intermedia in addition to the corpus callosum. The problem is that that sort of professional blundering discredits the rest of what she says for those who do know brain physiology. And that is unfortunate because of the rich layers of experiences that she has during her near-death experience. Thank you Gianna for your post on Bipolar Awakening and the link to Different Thoughts. These posts and blogs got me to thinking even more about the discussion that on our circle of blogs. Recently I posted about supplements and Susan of Bipolar Wellness Writer stated that she did not use supplements and that she had had a bad experience with a charlatan who had prescribed supplements to cure her depression. 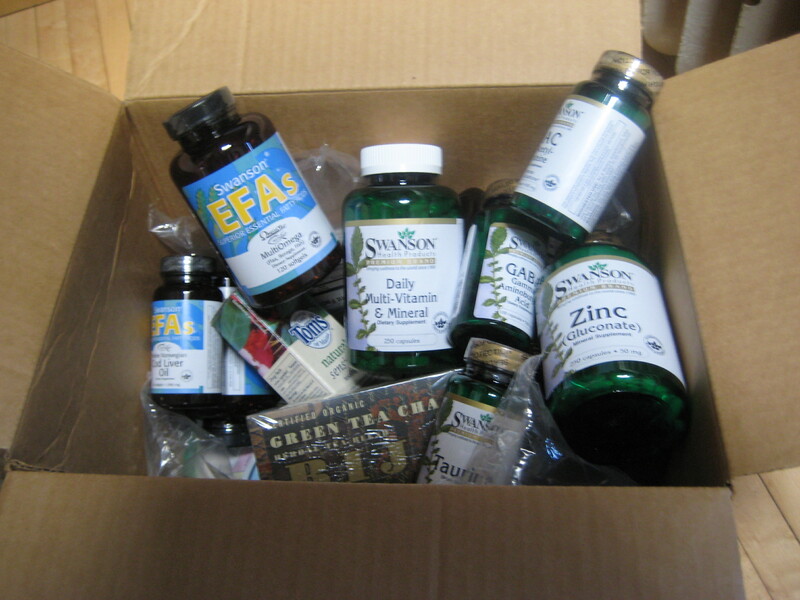 I have, for a long time been focused on healing myself through the use of supplements and food. But the Susan’s experience and the video make me think that when we focus on only the biological aspect, without the spiritual aspect as the cause of mental illness, we truly lose valuable insight and alternative ways of healing. One way to get a handle on the clutter and the mess is to follow the 30 second rule of the Organizer Lady. Sometimes when I mention that if something takes 30 seconds or less to do that we should determine not to put it off, people object. “If I start doing everything that takes thirty seconds, I will work myself to a nub.” And that is true. If our house is a mess we have many, many little jobs that could be done in 30 seconds. Too many to make it impractical to do them all. So let’s limit how we apply it. The thirty second rule needs to be applied in two ways only. The first place we should apply it is with what happens in the future. Don’t go back to try to catch up with everything. FROM NOW ON hang up your jacket immediately when you take it off. Take the coffee cup from the living room to the kitchen. Put up the mayonnaise and throw away the used tea bag. Return the tool to its home. And the like. The second place we should apply the thirty second rule is with those that are high priority needs. There are probably a few important little jobs that have been neglected for a long time and would only take thirty seconds to get them out of the way. The non priority tasks can be cared for as you go about your organizing plan or routine. So the idea is this: Apply the 30 second rule beginning now into the future and to priority jobs that need attention now. Any dirty dish will go straight to the sink, I don’t have a dishwasher. What do you think? Is the 30 second rule a good rule? I have such problem with putting of small tasks like junk mail and little things. What are your worst habits for making clutter? Is it a disorder? or is it shell shock? I don’t like words that hide the truth. I don’t like words that conceal reality. I don’t like euphemisms, or euphemistic language. And American English is loaded with euphemisms. Cause Americans have a lot of trouble dealing with reality. Americans have trouble facing the truth, so they invent the kind of a soft language to protect themselves from it, and it gets worse with every generation. For some reason, it just keeps getting worse. I’ll give you an example of that. There’s a condition in combat. Most people know about it. It’s when a fighting person’s nervous system has been stressed to it’s absolute peak and maximum. Can’t take anymore input. The nervous system has either (click) snapped or is about to snap. In the first world war, that condition was called shell shock. Simple, honest, direct language. Two syllables, shell shock. Almost sounds like the guns themselves. That was seventy years ago. Then a whole generation went by and the second world war came along and very same combat condition was called battle fatigue. Four syllables now. Takes a little longer to say. Doesn’t seem to hurt as much. Fatigue is a nicer word than shock. Shell shock! Battle fatigue. Then we had the war in Korea, 1950. Madison avenue was riding high by that time, and the very same combat condition was called operational exhaustion. Hey, were up to eight syllables now! And the humanity has been squeezed completely out of the phrase. It’s totally sterile now. Operational exhaustion. Sounds like something that might happen to your car. Then of course, came the war in Viet Nam, which has only been over for about sixteen or seventeen years, and thanks to the lies and deceits surrounding that war, I guess it’s no surprise that the very same condition was called post-traumatic stress disorder. Still eight syllables, but we’ve added a hyphen! And the pain is completely buried under jargon. Post-traumatic stress disorder. I’ll bet you if we’d of still been calling it shell shock, some of those Viet Nam veterans might have gotten the attention they needed at the time. I’ll betcha. I’ll betcha. Today, I will continue relating to you the suggestions by my chiropractor. If you are a regular reader of my blog, I am sure you know that I feel grateful to the M.D. who turned me onto supplements. It was so cool to find a chiropractor who also verified what I had learned from my alternative M.D. Deplete soils, pesticides and refining processes lower nutrient content in food. 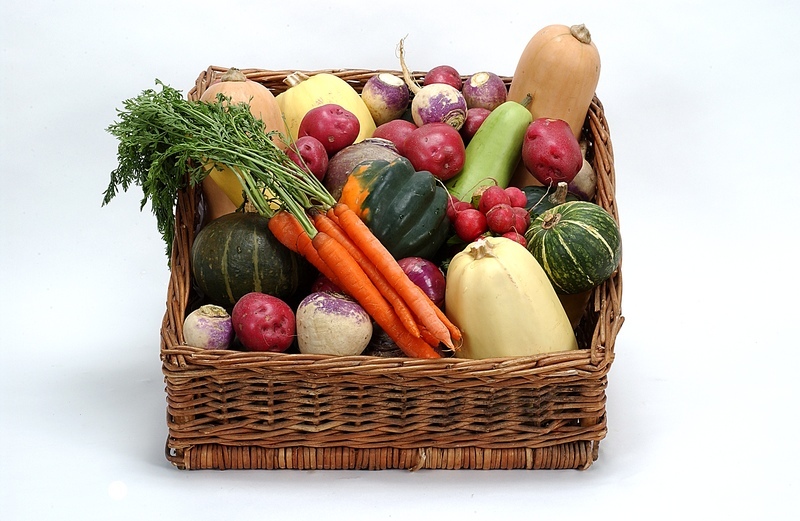 Processing, transporting and storing foods reduce nutrient content even further. Supplementing with high quality plant enzymes and whole food vitamins can help to replace the vitals nutrients your body needs. Inadequate chemical disposal and environmental waste increases health stress. Increased electromagnetic fields (e.g. microwaves,cellular phones, computers, etc.) can weaken the immune system. Supplementation with antioxidants gives you ammunition to fight back. Supplementation can help to overcome nutrient depletion from lifestyles stress. degenerative disease comprise the top four causes of death in America. Supplementation an help to overcome nutrient depletion from lifestyles stress, decrease the risk of chronic disease, and significantly reduce health cost. Whether you need to correct a deficiency, want to improve your health and of disease, Once your examine the facts, the question is no longer, “Why supplement?” but rather, “Why wouldn’t you supplement?” Whether you need to correct a deficiency, want to improve your health and nutritional status, want to make up for a poor diet plus a stressful lifestyle or want to reduce the risk of a disease, supplementation is crucial. Nutritional supplementation can provide nutrient enrichment, improve digestion and help with detoxification. You will fell healthier, more energetic when you take supplements, plus supplements can help increase overall fitness and well-being, improve the quality of your life, protect against premature aging and support your immune system. If you use supplements, please share with me which three bottles of supplements you would grab if you had to leave in a hurry and were only allowed three. Who can legally spy on you? Do you like your email? Has it helped you recover from mental illness? Do you find lots of support from kindred souls? How would it make you feel that to know that the government can legally read everyone of your emails? Currently, the government already has looked at thousands of Americans’ emails, but it was an illegal act. Lots of the telecom companies gave access to United States citizens private communications because they were told to by the president. That is not right. He needs to have a warrant. Maybe today, they are NOT after you, they are after someone else. Next year it might be you, you might not be taking your meds. Or maybe you are planning a way out of hospitalization. I have phone my representatives and my senators previously. It is NOT hard to do, yet each time I get a little nervous. The staff person who answers the phone is always polite. It is his or her job to answer the phone and record your feelings on matter before congress, especially if you are from their district. I have actually been to Washington, D.C. two time to speak to both my senators and my representatives on other matters. Believe me, they want to hear from you. Unfortunately H R 6304 the Hoyer/Bush FISA BILL passed last week. NOW, TODAY, phone your senators and tell them you oppose this bill, please don’t let this bill pass because you were too tired, busy or shy to phone or senator. The Foreign Intelligence Surveillance Act (FISA) compromise. 1. The Hoyer/Bush FISA bill allows for mass and untargeted surveillance of Americans’ communications. 2. The Hoyer/Bush FISA bill contains blanket immunity. It basically guarantees lawsuits against telecom companies will be dismissed. Ongoing lawsuits may be our last best hope of exposing the extent of illegal spying. 3. If leadership will not lead, it is the responsibility of every lawmaker to lead on this issue. You need to do what your constituents and the American people demand. Bowing to pressure from Republicans, the White House, the telecommunications companies and even Democratic leaders is unacceptable. You may also email or write. How to find your senator click here. And another site for both house and senate here. Phone Nancy Pelosi and leave a message at (202) 225–4965. Phone Congressman Hoyer’s offices 202 225 4131 and let them know you are not happy that this bill passed. You go ahead and call, don’t be shy, I just phoned. Everyone was very polite. Today I will continue with posting the recommendations of our chiropractor, who by the way, independently is affirmative of the supplements and dietary changes that our alternative MD suggested. My computer (or Internet) has been soo slow lately. I spent time linking the site of the “healthy” tortilla yesterday only to see that it was not included when you all read my post. I think it is amazing to see Tumaro’s site and all the write-ups in news organizations and awards that the company has gotten versus your comments yesterday. A positive thing about the company is that it is made in America, it is low cholesterol and low fat. Maybe they should just leave all that other junk out and it would be a better produt. This has me wondering: So it is possible to be certified organic and yet stuff your product with all kind of additives? I don’t get it. Clearly I need to research this. And I am happy that American food products are required by law to list their indgridents so that we can decide for outselves. Two years ago I began eating more squash, sweet potatoes, salsa and organic spices. I just love good squash and sweet potatoes. I also like broccoli and asparagus and went I was growing up we had Swiss chard from the garden every night for suppler. My hubby loves carrots. My daughter loves grapes…I can’t keep them in the house very long before she eats them all. I don’t know very much about organic spices. I need to learn more. Daughter hates tomatoes, hubby hate grapes. Please post and tell me what your favorite fruits or vegetables are. P.S. I used to hate some fruits..not the taste..but because they hurt my teeth. Last week I found out I had a broken tooth…and like Gianna says, they are full of sugar and the sugar was going straight to my nerves and hurting me. Last night my daughter and I were in a different part of town and decided to check out a grocery store that we don’t normally shop. I saw some organic tortillas in the natural section of the store. Upon my daughter’s further examination we found that it also included mono-diglycerides, fumaric acid, potassium sobrate, guar gum, cellulose gum, monogycerides, enzymes, blue #1, yellow #5, sodium metabisulate (used to maintain freshness), and some other ingredients that I am not too such whether they are just the scientific names of “natural ingredients” or whether they are ingredients to be avoided. The back of the package says that it is 88 % organic ingredients…many the organic unbleached wheat flour and organic whole wheat flour. It also brags that there is no cholesterol and no lard is 95 % fat free, and has the American Heart Association’s seal of approval. My daughter did not want to purchase these, she thought we should continue looking in regular part of the store to find some tortillas that didn’t have the added ingredients. So leave me a comment. What do you think? Is this a good “healthy” tortilla or not. Rotten food, only eat foods that will rot. Hubby went to see the Chiropractor the other day. He came home with a handout that we taped to the refrigerator. I will post this as three separate posts. It is so great to see the Chiropractor and our alternative mental health doc independently agreeing with each other. You know I was raised to be prejudiced against chiropractors. But when I was in pain a few years ago, I visited one. I brought this prejudice up to the current chiropractor that we see. He filled me on the history of an AMA (American Medical Association) group “the Committee Against Quackery.” He said the the AMA had tried to get the chiropractors under their umbrella and was actually a “spurned lover.” I found this fascinating and told my family of origin, who who hardily bought into the committees ideas, about the history of this. Who has the right to call themselves a doctor? It took 99 years, but Minnesota has finally given official recognition to the practice of naturopathic medicine, which relies on the body’s powers to heal itself. Under a new state law, naturopaths — who use everything from herbal remedies to biofeedback — will be allowed to register with the state and call themselves doctors without fear of running afoul of the medical establishment. You might think that would be a cause for celebration throughout Minnesota’s alternative-health community. Recently “Mrs. Food Police” wasn’t home for a few days and the Mister in the family thought he would have a heyday eating whatever he wanted. Now, I am just joking when I say “Mrs. Food Police,” he can eat what ever he wants. What I do is try to keep lots of brain healthy, low or moderate calorie food available and ready to eat, so he doesn’t want to go hog wild. Anyway, the mister went out to the grocery store and went hog wild purchasing high calorie items. Then he came home, cooked it and ate lots and lots of it, instead of only one or two servings. When we went to our Weight Watchers meeting earlier this week I had lost one pound, but he had gained two pounds. Now he could throw his hands up and just say, “That’s it, I quit!” or he can learn from what happened. In one of the support groups that I am a member of a person who was weaning off psych-drugs could not deal with the painful withdrawal effects and decided to go back on one of the meds. What both that person and my hubby have in common is that what they just did, “failed”, doesn’t mean they are doomed. It means they should look at what they did and what worked and what didn’t. What circumstances happened that caused my husband to crave certain food so bad that he rushed out and purchased them and ate them as fast as he could? What happened to my friend that his withdrawal was too painful to continue? All hope is not lost, they just need to have a plan and get back with it. My theory with my friend is that he tried to withdrawal too quickly. A person needs to take notes so that they know where they stand (how many milligrams or ounces were they taking and one which days) so that they can evaluate what worked and what didn’t. Hubby needs to let me know what foods he really wants and then we can work them into our meals or find alternatives that will satisfy him, and he need to learn to measure his servings with a little scale or a measuring cup.